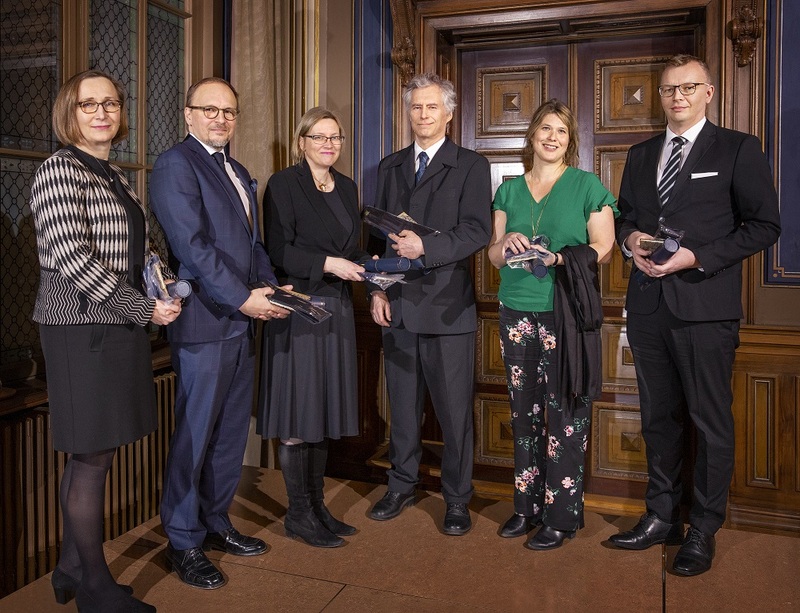 Nine scientists have been elected as members of The Finnish Society of Sciences and Letters on December 17, 2018: Professor Sara Heinämaa, University of Jyväskylä, Professor Veijo Kaitala, University of Helsinki, Professor Altti Kuusamo, University of Turku, Professor Anna-Elina Lehesjoki, University of Helsinki, Doctor Kai Mikkonen, University of Helsinki, Doctor Pia Olsson, University of Helsinki, Professor Martin Romantschuk, University of Helsinki, Professor Cecilia Sahlgren, Åbo Akademi University and Doctor Peter Söderlund, Åbo Akademi University. The new members Anna-Elina Lehesjoki, Kai Mikkonen, Pia Olsson, Martin Romantschuk, Cecilia Sahlgren and Peter Söderlund get their diplomas on February 18th, 2019. Sara Heinämaa, Veijo Kaitala och Altti Kuusamo was absent.